See your lab samples and specimens up close in 3D. 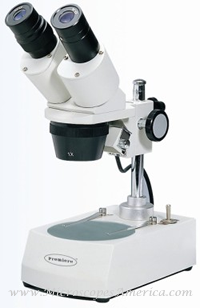 Our Stereo Microscopes help you view and explore the nooks and crannies of lab samples and specimens up close in 3D. These products feature sturdy construction and precise controls so you can adjust your settings to accommodate samples of all sizes. 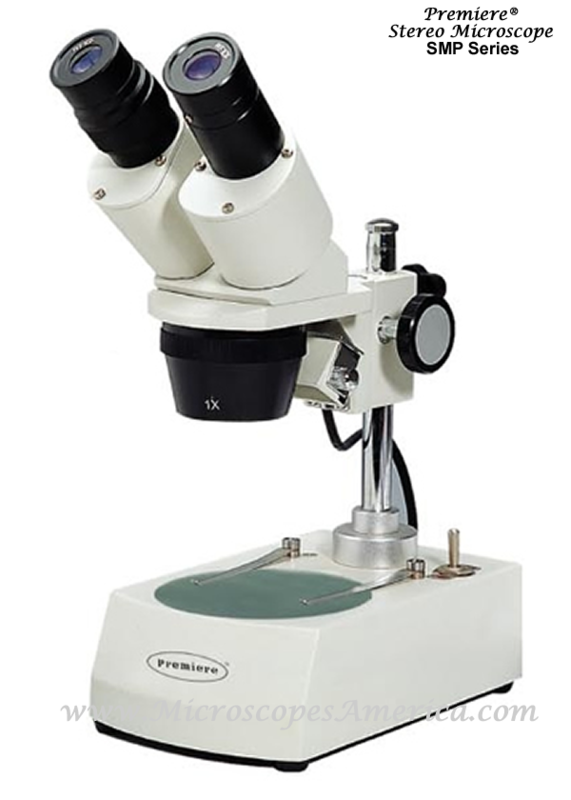 Equip your science research laboratory with our Stereo Microscopes and gain a multi-dimensional perspective of fossils, dissection specimens, and more. These advanced stereo microscopes offer built-in turret objectives that make it convenient to change magnification. The head on each model can be raised or lowered on a post to accommodate various sized specimens. Versatile illumination system offers incident (top) or transmitted (bottom) lighting through the frosted glass stage plates. Precision optics provide a wide field of view with good depth and high resolution. • Pair of 10X widefield eyepieces with rubber eyeguards. • Dual focusing knobs; rack and pinion mechanism. • Incident (top) and transmitted (bottom) 10W halogen illuminator. • Frosted glass stage plate, 95 mm diameter with clips. • Additional black and white contrast stage plate. • Included vinyl dust cover and spare bulb. • 1X and 3X objectives for 10X/30X magnification. • Stand with 45° inclined binocular stereo head. • 3-way switch can be set to top light, bottom light, or off. • Dimensions: 4" x 7" x 12". • 2X and 4X objectives for 20X/40X magnification. • LED lighting for cordless operation. • Built in rechargeable battery and AC adapter. 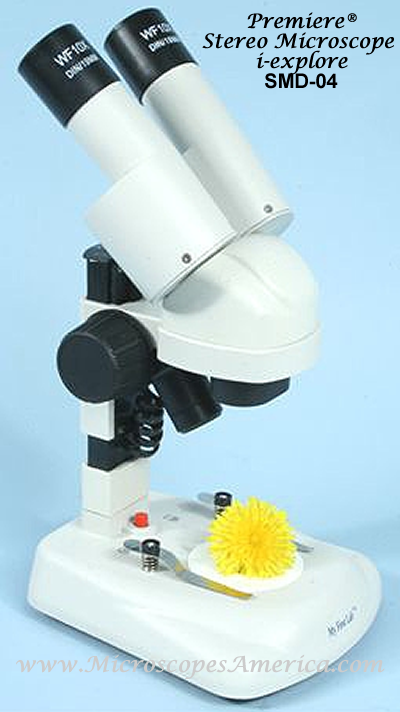 View speciments in 3-D with the Stereo Microscopes SMJ Series Models. 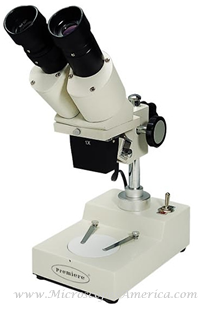 Stereo Microscopes offer an unreversed, upright image at lower power. Essentially designed for use in dissecting or examining gems, plants, insects or virtually any three-dimensional specimen. Precision optics provide a wide field of view with good depth and high resolution. Rugged metal construction assures years of service at an economical price. These microscopes can be useful in many industrial applications as well as for educational purposes. • Choice of objective: 1X, 2X, 3X or 4X. Alternate power objectives may be purchased separately. • Total magnification, 10X, 20X, 30X or 40X. • Size: 4½" x 7" x 12"
Additional objectives available (sold separately): MA61 (1X), MA62 (2X), MA63 (3X), MA64 (4X). • Objective: 1X, magnification: 10X. • Field of View: 20 mm, working distance: 57 mm. Field of View: 12 mm, working distance: 80 mm. 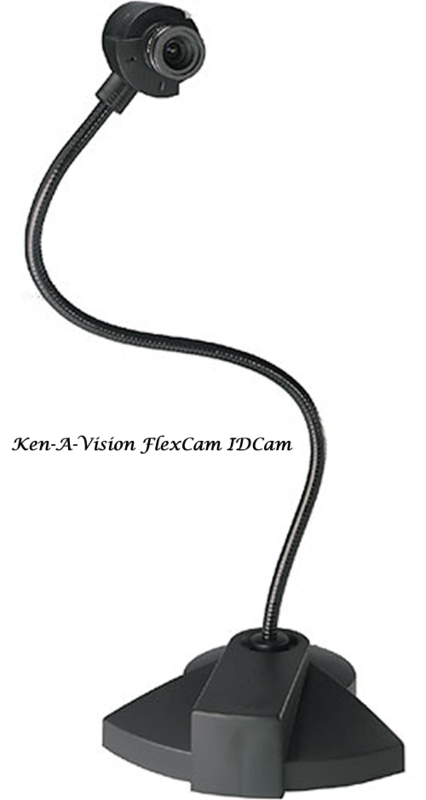 Field of View: 6.7 mm, working distance: 61 mm. Field of View: 5 mm, working distance: 57 mm. The binocular head allows comfortable viewing with both eyes (no more squinting) and the built in light illuminates all specimens for premium viewing every time. Real glass optics provide high quality images and battery power makes it portable for outdoor use. Perfect for collectors and hobbyists!